The Point of Pines Yacht Club Officers and Members wish to express their condolences to the Giardino family on the loss of their dear Freddy. Frederick P. Giardino passed away peacefully on December 13, 2017, at home surrounded by his loving family. Freddy was a lifelong resident of Malden. 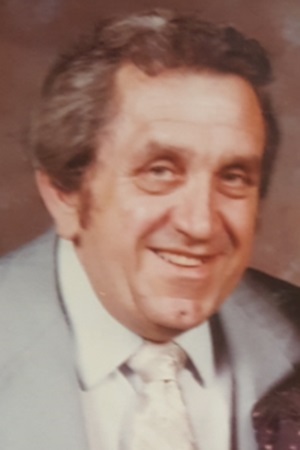 He owned and operated Walsh Florist in Malden for over 60 years, and was a member of the Point of Pines Yacht Club in Revere and a past member of the Malden Moose and ITAM’s club in Revere. Freddy was the beloved husband of 55 years to Nancy L. (Fioretti) Giardino. He was the loving father of Susan Watson and her husband David and Linda Giardino-Banks and her husband Gregg, all of Malden. Freddy was the dear brother of Edward Giardino and his wife Karen and Robert Giardino and his late wife Lorraine. He was the cherished grandfather of Vanessa Watson-Bonner, Briana Watson, Nicholas Watson, and great grandfather of Shane, Aurora, Jacob, and Caleb. He is also survived by nieces and nephews.The funeral will be held from the A. J. Spadafora Funeral Home, 865 Main Street, Malden on Saturday December 16th at 9:00am followed by a Mass of Christian Burial in Sacred Hearts Church, 297 Main Street, Malden at 10:00am. Relatives and friends are respectfully invited to attend. Visiting hours will be held at the funeral home on Friday from 4-8pm.Internment will be in Forest Dale Cemetery, Malden.